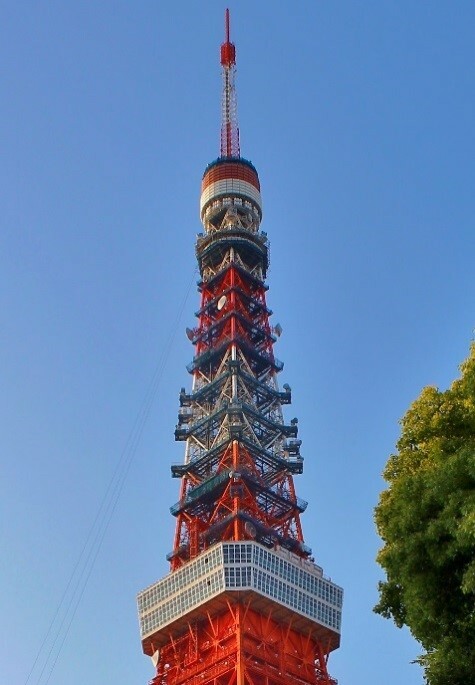 In order to maintain Tokyo Tower’s sturdy body and keep its symbolic coloring bright by coating its frame to protect it from the elements, we have regularly repainted the tower since its opening. As we are now approaching the end of another five-year cycle, we will begin repainting the tower in March of this year. The work will be done mainly in the late night and early morning hours. In order to complete this project, we will be setting up scaffolding and protective nets that will be moved around the tower as the work progresses. We would therefore like to inform you that the view from the top deck (250m) will be obstructed by nets from around September to December, 2018. We will be painting the tower on a long-term schedule, and expect to complete the project around summer 2019. The state of scaffolding and netting around the tower will change and transition as the project progresses. We apologize for the inconvenience, but ask for your understanding in advance. About the effects of the project on views, etc. 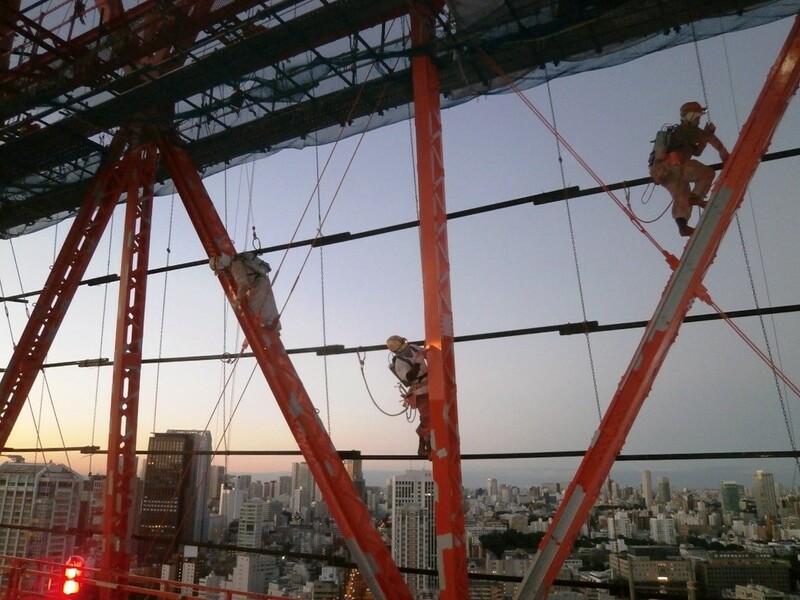 ・Scaffolding and protective netting required for the repainting project will affect Tokyo Tower’s appearance. ・The nets will obstruct the view from the top deck (250m) from September to December, 2018.